When it comes to furnishing a room, you might think you need to set aside a large budget if you want to create an individual space that perfectly reflects your taste. But what if we were to tell you that a bespoke look is available from a high street favourite, whatever you’re looking to spend? 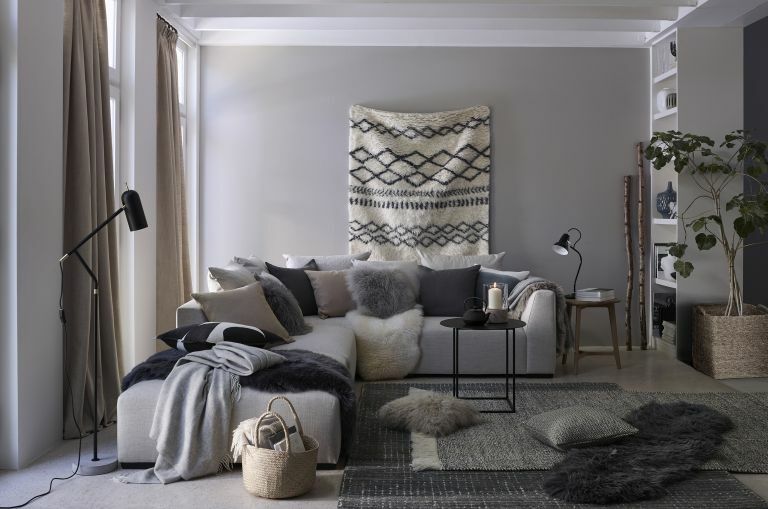 Nobody wants to feel like their home is a clone, so read on as we explain how – with a little help from John Lewis & Partners – you can create a unique, wow-factor look with your furniture choices. There was a time when bespoke furniture was only available from exclusive retailers, with an exclusive price tag to match. However, custom-made is just a click away at affordable prices from John Lewis & Partners when you use their Design Your Own service. Choose from a number of designs, shapes, colours and fabrics and combine to suit your style. With over 20,000 customisable combinations, creating a bespoke look has never been easier. Let yourself be wooed by a design classic from a heritage brand by searching the likes of G Plan, Loaf and West Elm all in one place at John Lewis & Partners. And because they will never knowingly be undersold, you can guarantee you will get your new sofa, desk or armchair for the best possible price. So, save time spent shopping around and use it to decide which corner your iconic new piece will look best in. Opting for bold colours and patterns is sure to create an unforgettable look. This is also the perfect solution if you live in rented accommodation and can’t add interest by painting or wallpapering. From 70s revival mustard and burnt orange to stately tartan print, John Lewis & Partners upholstery comes in more than 200 shades so you really are spoilt for choice. If you are colour/pattern shy, be brave with texture instead. Plush velvet is very much on trend, or keep it classy with leather. If you have kids and/or pets, a hard-wearing linen or woven cotton are a safe choice or choose one of the many fabrics with Aquaclean upholstery protection that allows you to remove dirt with nothing but water. Even if you know what you're looking for, have made moodboards for every room and curate more ‘my new room’ Pinterest boards than you thought possible, you might feel like you need a little help to pull all of your ideas together. This is where John Lewis & Partners’ Home Design Stylists can come in handy. If you are looking to update one room, the free in-store design service will be just what you need. Or, looking to makeover up to three rooms? Book an at-home consultation for just £250, redeemable against the price of any purchases you make through the Home Design Service. The home makeover process doesn’t end when you pick your new furniture, or even when it arrives safely in your home. Now is the time to add even more personality with the perfect cushions, table lamps and throws. Pick pieces you love and a unique look is sure to follow. Find everything you need to finish the look at John Lewis & Partners.